(JEFFERSON CITY, Mo. )–The Missouri Corn and Soybean Rowers, also known as the Ag Rowers, finished the Missouri American Water 340 (MR340) today, exiting the river in St. Charles after paddling their tandem kayak across the state in 76 hours and 55 minutes. The Ag Rowers are sponsored by the Missouri Soybean Merchandising Council (MSMC), Missouri Corn Growers Association (MCGA) and industry partners. The massive river race designed to test endurance and grit kicked off Tuesday, Aug. 12 in Kansas City. 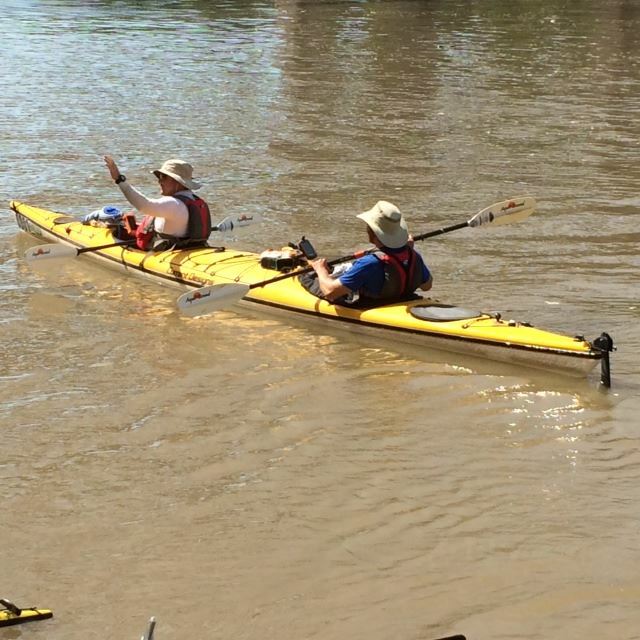 Teammates MSMC Executive Director Gary Wheeler and MCGA Director of Public Policy Shane Kinne joined fellow paddlers and spectators to test their physical abilities and highlight the river’s relationship with Missouri agriculture. They were among 283 registered kayaks and canoes at the start of the race. Wheeler and Kinne were the 119th boat to cross the finish line after hitting all nine race checkpoints within the allotted time frame. 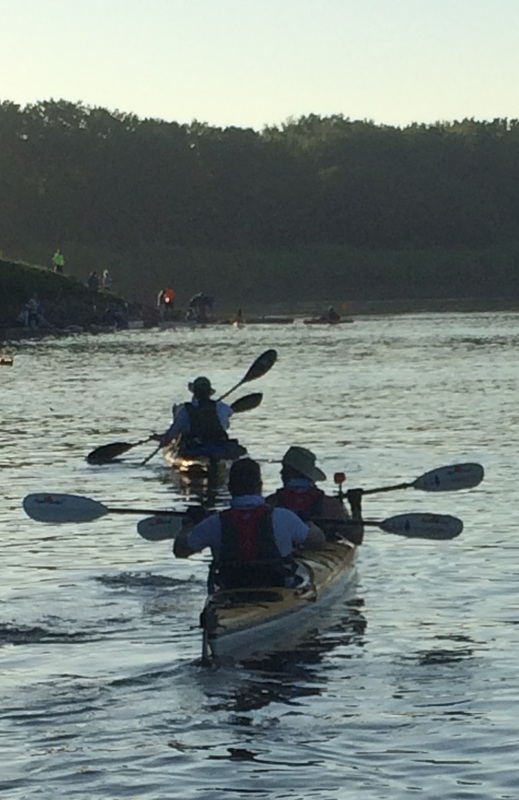 Competitors are allowed 88 hours to paddle the 340 mile course and must finish by midnight tonight. Sponsors of the Ag Rowers team include: American Soybean Association, Central Bank, FCS Financial, Illinois Corn Growers Association, Iowa Corn Growers Association, Lifeline Ethanol, MFA Incorporated, Missouri Cattlemen’s Association, Missouri Farm Bureau, Missouri Pork Association, Monsanto, National Corn Growers Association, Nebraska Corn Board, Pioneer, POET-Ladonnia, POET-Macon, Show-Me Ethanol, Syngenta and the Missouri Levee & Drainage District Association. Learn more about the MR340 at http://rivermiles.com/mr340/. For more information on the Missouri Soybean Merchandising Council and Missouri Corn Growers Association, visit them online at mosoy.org and mocorn.org. Photo Caption: The Ag Rowers team of Missouri Soybean Executive Director Gary Wheeler and Missouri Corn Growers Association Director of Public Policy Shane Kinne push off in the Missouri River 340 race, Tuesday, Aug. 11. They began their 340 mile journey in Kansas City, paddling along the Missouri River before finishing in St. Charles. Photo Caption: After paddling for two days, the Ag Rowers resume their journey along the Missouri River after stopping at the Hermann checkpoint Thursday, Aug. 14. The team finished the race Friday, Aug. 15 in St. Charles. 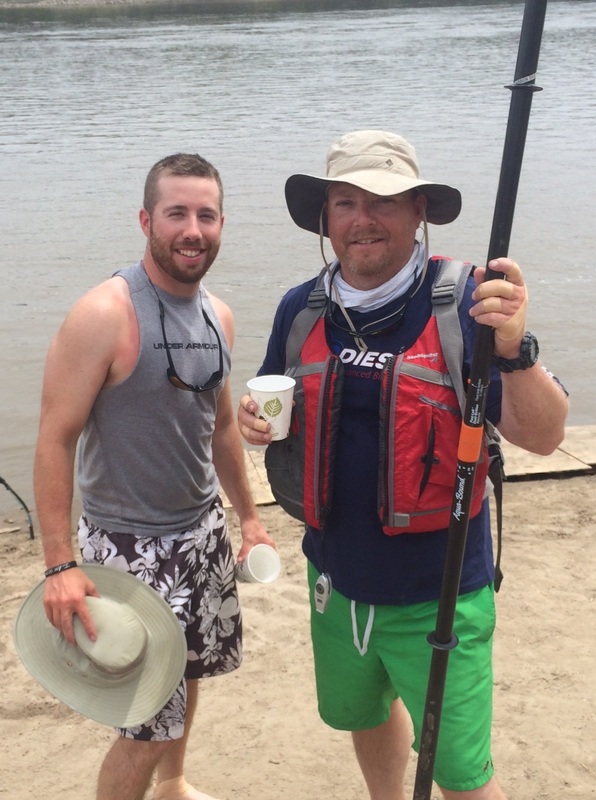 Photo Caption: Missouri Corn Growers Association Director of Public Policy Shane Kinne (left) and Missouri Soybean Executive Director Gary Wheeler finished the Missouri American Water 340 (MR 340) in 76:55, paddling 340 miles along the Missouri River between Kansas City and St. Charles. The pair took home 29th place in the Men's Tandem Division, hitting dry land Friday, Aug. 15.